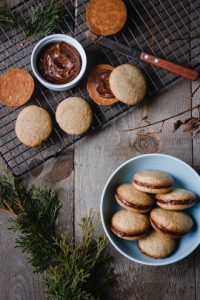 Share this…FacebookPinterestYummlyemailThese crispy gluten free gingersnap cookies sandwiching a luscious date caramel is something you should definitely be baking this season or anytime you need a warming treat. 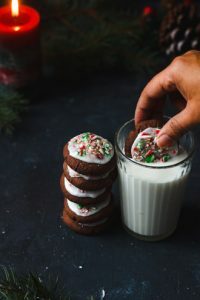 Share this…FacebookPinterestYummlyemailThese glazed chocolate peppermint cookies are gluten free and perfect for your holiday baking or all year round. It’s a fun project for the little ones and makes an awesome edible gift. 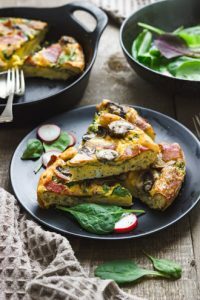 Share this…FacebookPinterestYummlyemailThis baked mushroom & spinach frittata is a wholesome breakfast or a brunch recipe that can serve a crowd or make plenty of leftovers. 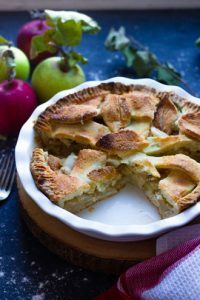 Share this…FacebookPinterestYummlyemailThis gluten free apple pie has all the features of a classic apple pie: buttery, flaky crust with thinly sliced apples and cinnamon. And one ingredient that makes the pie extra delicious. Browned butter. This enhanced version is great to serve on holidays or any time you want to use that extra apples ! 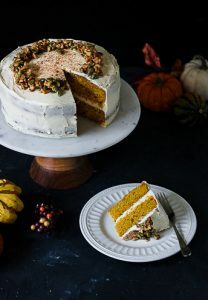 Share this…FacebookPinterestYummlyemailThis Gluten Free Pumpkin Layer Cake is made from scratch and screams of fall. Spiced with fall spices and layered with decadent cream cheese frosting you can enjoy the fall flavours without the gluten.